Email remains one of the most powerful ways to increase your sales, especially if you are an online retailer. But just emailing without a plan isn’t going to work for you. In fact, doing anything without a plan probably won’t work. But especially when it comes to emails. According to a new study, trust and relevance are the two key factors people consider when they receive emails from small businesses. What does that mean? In order for you to increase your sales via direct marketing and email campaigns your list has to already trust you. Here’s how to build trust. An initial sequence is something you send people right at the time they sign up for your list. This can be an educational article series, coupons and discounts or a video series introducing you and your company. The point is to make an initial relationship and connection with your new sign-up. This is going to help you secure your future open rates. Learn more about initial sequences in Jason’s post here. Or you can sign up for our email list and see it in action. You can do that by joining as a member of ConvertWithContent. You aren’t going to get a good open rate if you don’t email regularly. People should start to expect what they are going to get from you and so they aren’t in shock when they do receive it. This means setting up some sort of regular schedule. You want to educate and empower your email list. Don’t just send stuff for the heck of it. Make sure you are adding value to their everyday life and you will see an improvement in open rates. If someone is not opening your email, get rid of them. They are bringing down your list and they won’t be opening your emails anytime soon. An inactive email on your list is not going to help you increase your list. Another way to segment your list is to put people in different camps. If they are interested in one side of your business then send them emails about that topic. If they are interested in a different side of the business don’t send them something they don’t care about. Learn more about segmenting your list here. 71% of respondents to a recent survey reported being more likely to make a purchase if an emails was tailored to their likes and preferences. That means you should be monitoring their behavior and using automated email tactics. We use Infusionsoft for our email marketing and you should too. 🙂 Watch the demo here to learn more about Infusionsoft. 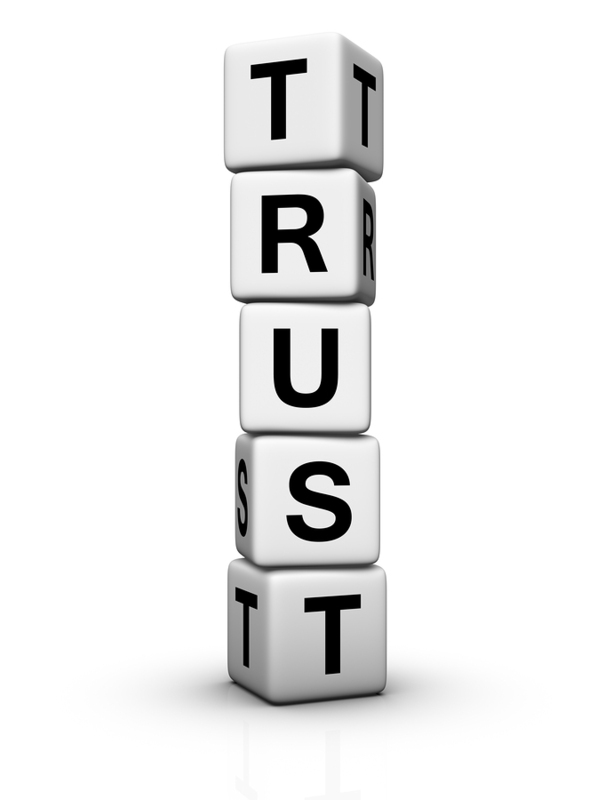 Adding value and engaging are 2 key ways to build trust. People trust someone who adds something helpful to their lives and asking questions – and sharing answers – forms a nice strong bond between list owner and subscriber. I like your note of adding value; subscribers want you to deliver. You asked for their email and name, and they were happy to volunteer this information but you must follow up on your promise. Over deliver, writing helpful, relevant content to influence your readers to trust you. As for engaging, end newsletters with questions, and ask questions throughout your content. This simple, easy to act on practice inspires subscribers to respond, and then you can respond, and a rapport builds. Engage through each email. ABA; Always Be Asking, meaning, ask questions, share answers, and keep the engagement train going to make a real impact online. This email marketing gig grows much easier if you can simply be authentic, share value, and chat through the medium. Thanks Stephanie, tweeting this one in a bit. Thanks for sharing, Stephanie! For me, when it comes to sales email outreach, many people confuse this with spam. Most people likely feel this way because they receive so much of it and that it’s done incorrectly. Sometimes, we need to put ourselves in the reader’s shoes and think how your email would stand out. Great post!